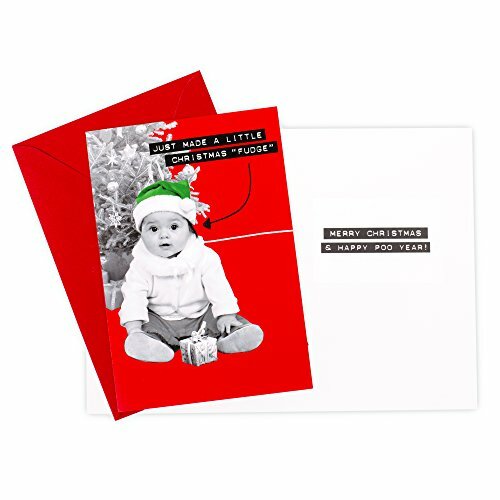 Inside messages: Baby Under Christmas Tree, "Merry Christmas & Happy Poo Year!" 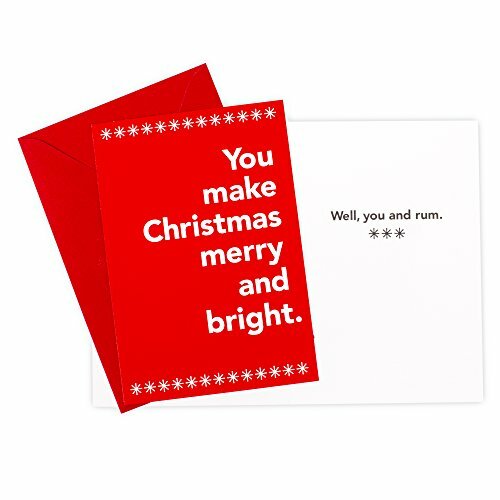 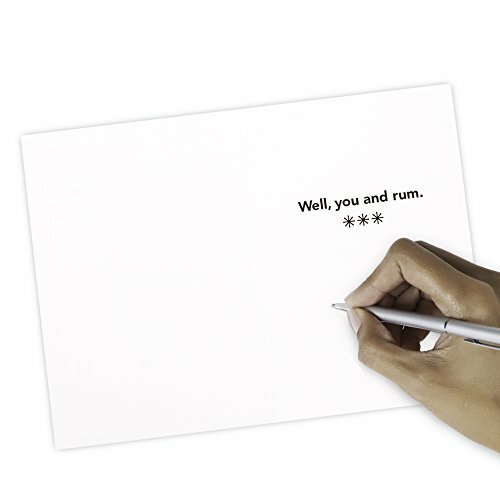 Merry & Bright lettering, "Well, you and rum." 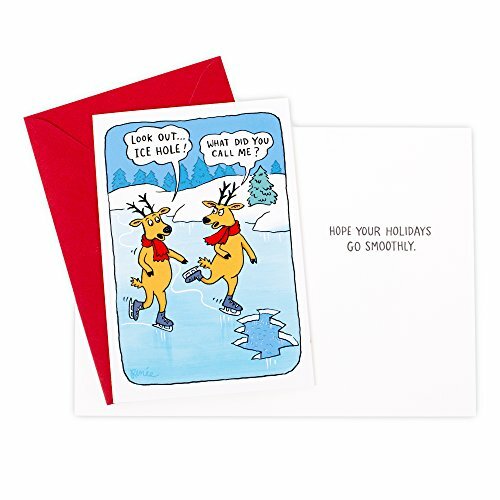 Reindeer Ice Skating and chatting, "Hope your holidays go smoothly." 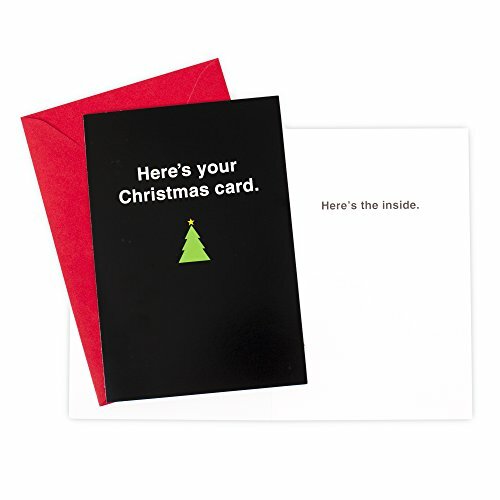 Tiny Christmas tree, "Here's the inside." 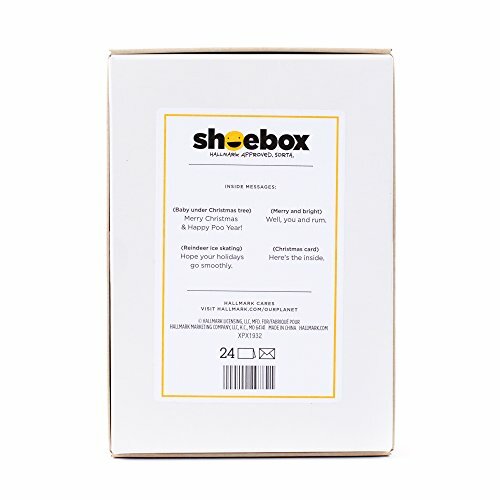 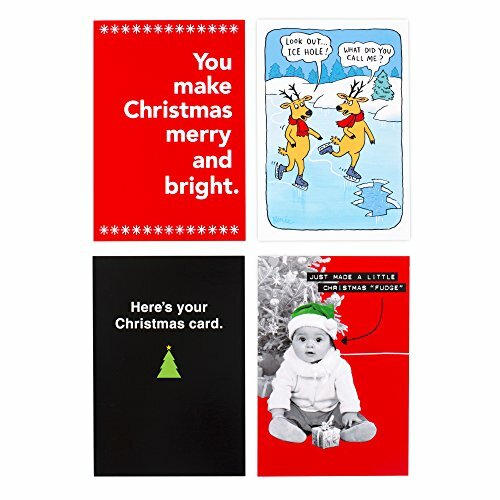 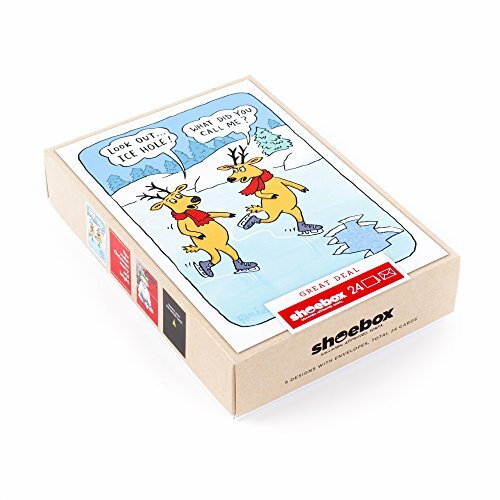 The boxed card set includes 4 different Shoebox humor designs for a total of 24 greeting cards and 24 envelopes. 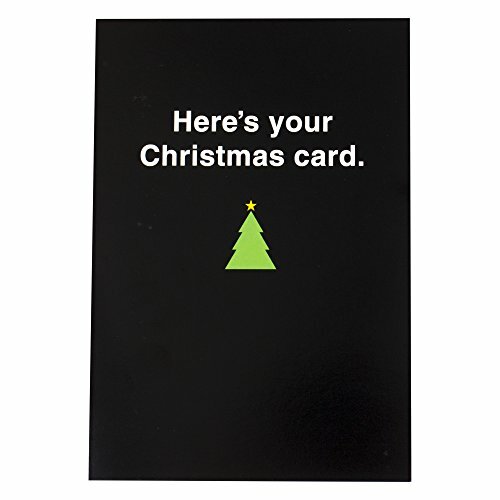 Card size: 4.81 inches wide by 6.94 inches long.